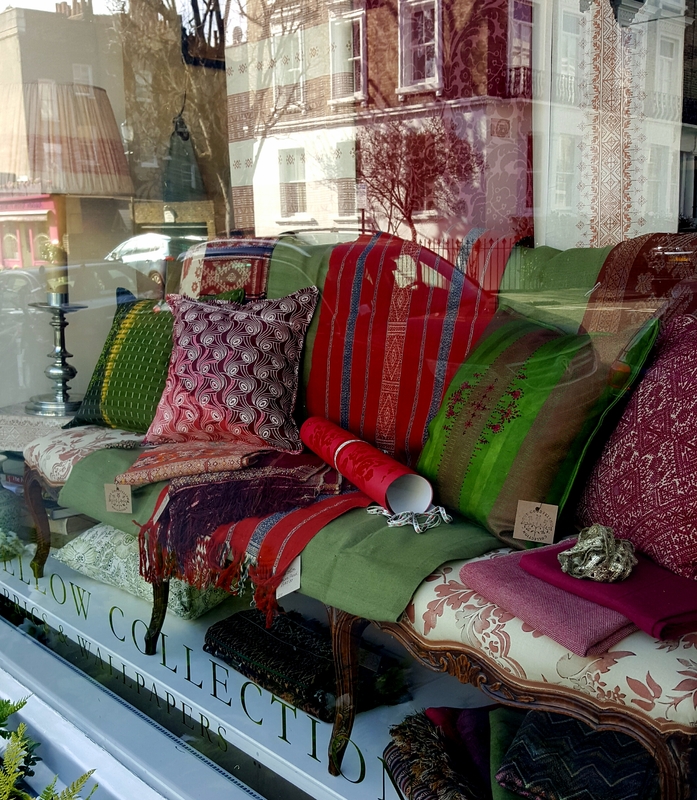 Over the past month or so I have thoroughly enjoyed being part of the team setting up the new Guy Goodfellow Collection Showroom in Chelsea’s Langton Street. We have managed to create a tranquil setting for interior designers to view fabric and wallpaper collections, and led by the creative direction of Jaine McCormack, our little team has built a beautiful, refined environment to house the equally beautiful collections of Allyson McDermott wallpapers, the Guy Goodfellow Collection of fabrics and papers, Volga Linen and Cloth and Clover’s printed linens. Guy Goodfellow Collection fabrics and Cloth and Clover’s printed linens. 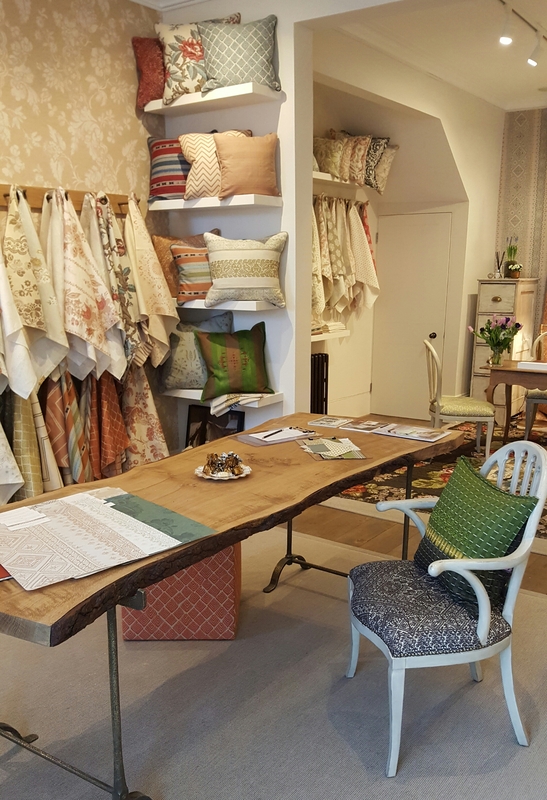 As part of the showroom ethos of supporting artists and makers, I am very proud to have had my cushions selected by the showroom as one of the first featured ‘makers’. Being accepted into this rarefied world of the interior decorators has really made me re-evaluate my approach to creating my products. Always slightly obsessive about attention to detail, I have sometimes thought of this as a disadvantage, but now I see that it is truly appreciated, and decorators really do accept that perfectionist aspect to my products. 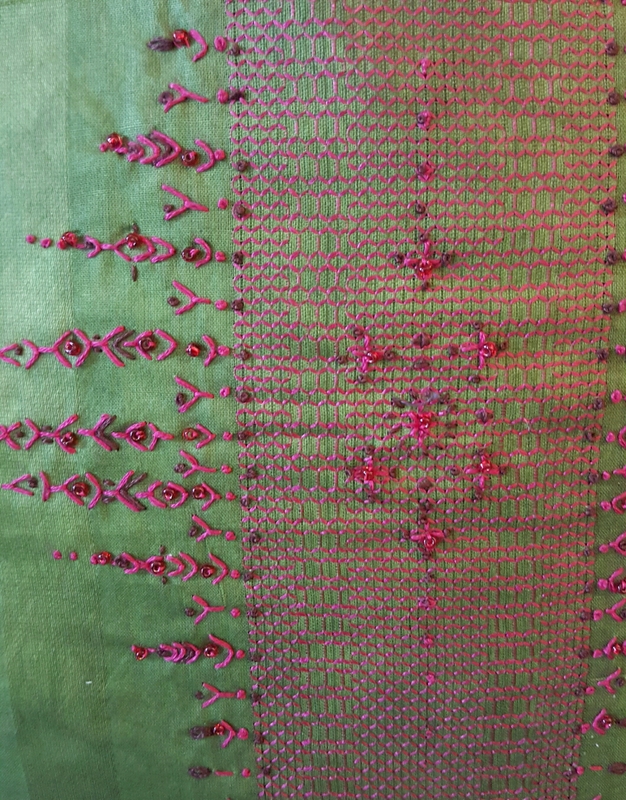 This is not to say that I am aiming for identical, homogenised embroidery or fabrics, as the individual qualities of my pieces are a large part of their appeal, but I no longer worry about unpicking a stitch that is out of place and reapplying tiny beads to be ‘just so’ in order to make the most beautiful heirloom piece I possibly can. 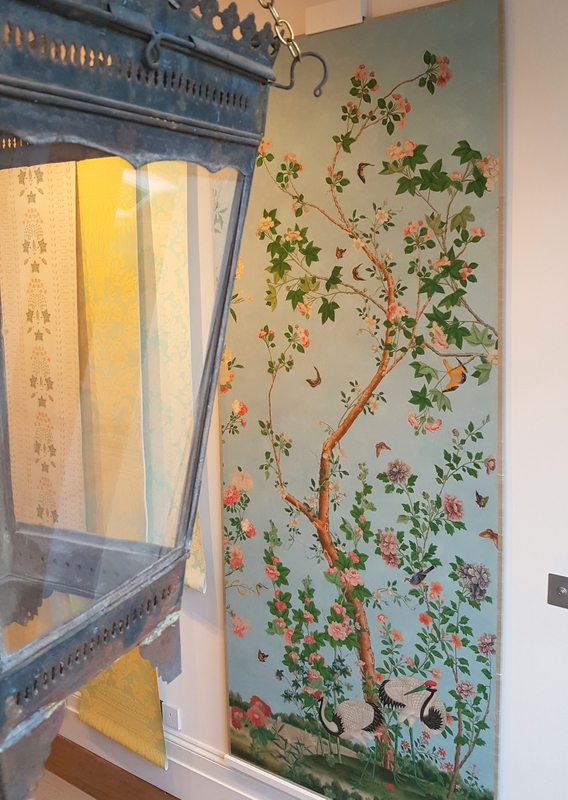 It remains to be seen if this little foray into the world of interior decorators will pay dividends, but it is certainly a fantastic opportunity for me to explore the possibilities of the truly bespoke makers world.